First bank Nigeria commonly referred to as the first bank is a retail banking and financial service institution in Nigeria. By some, it can be regarded as the biggest bank in Nigeria. In terms of the gross earnings of banks in Nigeria then you are right. Being one of Nigeria’s biggest bank, it offers its customers a whole lot of services. These services range from retail banking, corporate banking and more. No matter who you are and what you do, First bank Nigeria has something to offer to you. First bank Nigeria has branches which cut across the entire world. There is a First bank branch in practically every continent. What this means is that when you want to go on holiday anywhere in the world, they got you covered. To bank with the First bank comes with as much simplicity as you can ask for. Apart from the fact that the bank has a broad reach it also provides premium banking services. So, whether you are a student, a salary worker or a CEO with a business, you don’t have to be worried. Among all the banking services, they have to offer to include personal banking services. You get the chance to have a personal account with the First bank. You can also open a loan account and get a loan from the bank. Should you need a mortgage plan for your house they are the right fit for you. They can also help you manage your wealth. As one of Nigeria biggest banks, they can help you invest your wealth very well. This will increase your returns which you can use to improve your life. First bank Nigeria knows that different people have different taste. That’s why they have serves tailored for each customer. Online banking is the biggest thing to hit the Nigerian banking industry after the ATM. With first bank Nigeria online banking platform, you can perform several banking transactions at a go. From the comfort of your home or office, you can do your banking business. What this means is that you don’t have to cue up in the banking halls. With the online banking platform, you can send money to your loved ones from anywhere and at any time. You can also check your account balance, buy airtime and many more. They offer you various unique services like first connect, first online and telebank. To begin using the online banking platform is very easy. The most important thing you need to have is an account with the first bank. Once you have your account then you don’t have to be worried about anything. Apart from ac account, you also need to have your user ID, password and ATM card number and pin. With this handy when you are about to register then you won’t have problems. Just follow the steps to register below. You don’t have to worried about the safety of your info. This is because the first bank is always looking for the safety of its customers. 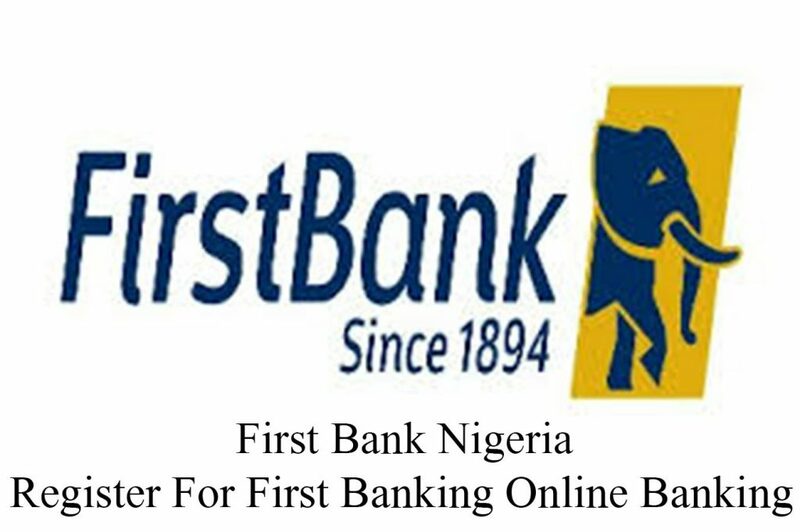 To register for first bank online banking is quite easy. All you must do is follow the steps which we will talk about here. Before you start these steps make sure to have the necessary the info needed. If you don’t have an idea about the info need check the paragraph above. First, you must visit the official website of the first bank Nigeria. Do this by typing www.firstbanknigeria.com into your web browser. The next step is to click on first bank internet banking icon. This is seen at the left-hand side of the home page. You will be taken to the first online login page. Here you can login if you have registered before. If you haven’t registered click on register. Here is the registration page where you must enter the details discussed above. Once you have entered the details, type in the verification code shown in the box provided. Once this is completed, click on continue and follow the prompts.